One of the frustrating aspects about living on Tenerife concerns the weather. Not the actual weather itself; with slight variations on various coasts that’s about as close to perfect as you’ll get. There are occasional blips, but nowhere is perfect. 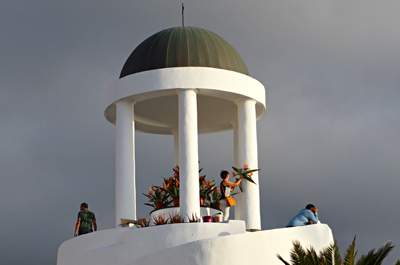 The frustration comes from misguided advice being given about Tenerife’s weather. For example, the weather can be unpredictable at times, but mostly not and the Spanish Met Office do a wonderful job of keeping us informed of what the outlook is, often down to what’s going to happen at specific times of the day. But I constantly read advice telling people to not bother with the forecast as the weather people always get it wrong. These comments illustrate one of two things. The people who make them are using the wrong weather sites for their information or, if they’re using AEMet the Spanish Met Office site, they’re not correctly interpreting what they’re looking at. On the one hand Tenerife weather is straightforward – the outlook is generally warm and sunny – but when it strays from that things get a bit more complex. However, the ‘don’t bother with the weather forecast’ type comments are more sigh-inducing than anything else. What’s far worse is advice to ignore weather alerts as they don’t often come to much. 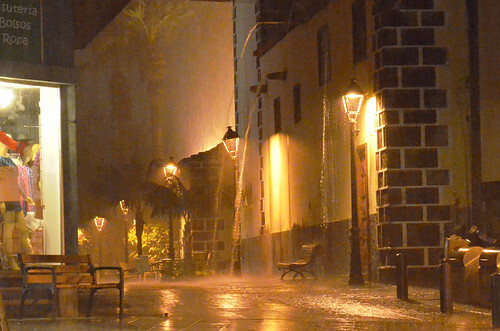 That advice shows anyone dishing it out doesn’t understand Tenerife’s weather, but that’s not the real problem. The problem is the advice is potentially dangerous to the extent it could be life threatening. When the Spanish Met Office raises a weather alert you take notice. There are four types of weather alerts. Green means everything is hunky dory and even if there’s rain or wind it’s not significant. A yellow level weather alert is a warning there is some extreme weather on the way, but it’s not expected to be particularly serious. It’s a sign to take care, especially if out walking as conditions could turn dangerous. With an orange level weather alert we tend to batten down the hatches. We simply don’t go out unless we have to and then we are extremely cautious. Anyone who goes walking during an orange alert is asking for trouble. Red alerts are thankfully rare. I think we’ve experienced two in 12 years. Simply put, they are terrifying. Weather alerts don’t just apply just to wind and rain. There are quite a few situations which can prompt alerts in the Canary Islands. Yellow alert level winds are generally not excessive. 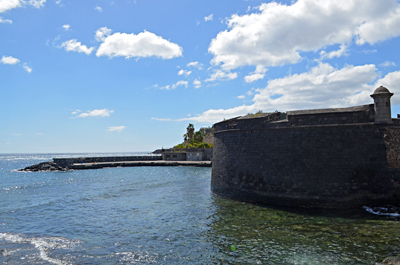 What we’d consider a yellow alert level on the north coast of Tenerife often feels no more than a particularly breezy day in somewhere like El Médano in the south east of Tenerife. We’ve walked when there’s been a yellow level alert for wind, keeping a close eye on conditions. Above yellow level and you’d have to be crazy to go out. Winds can reach frightening speeds. 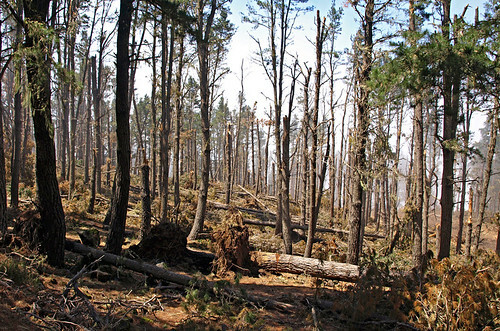 During one storm in the upper La Orotava Valley mature pines were snapped in half as though they were matchsticks. It was devastation. Again yellow means apply caution if outside. I’ve seen too many people dismiss rain alerts as being either unnecessary or as being no worse than a rainy day in Blighty. During an orange alert we can be talking Noah’s Ark type weather of biblical proportions when the heavens dump a serious amount of water in the mountains. Sometimes it’s less intense on the coast which can lure those who don’t understand the island into a false sense of security. Because Tenerife rises steeply from sea to mountains the rain, which seems miles away in the hills, can come tearing down ravines in raging torrents. 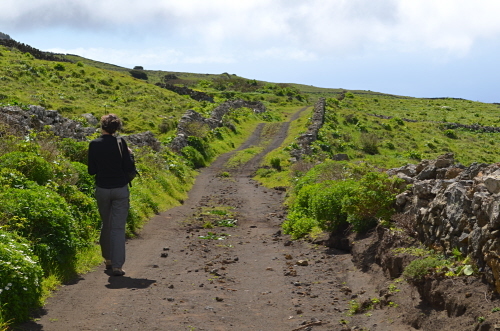 Naive walkers in the Canaries could be caught in flash flood scenarios. What’s also dangerous is the after effect. Heavy rain loosens the earth, regularly causing rockfalls and landslides. Walking in narrow barrancos (ravines) or under cliffs after any decent rainfall can be dangerous. Warnings of a heatwave might have sunseekers cheering, but it’s risky to go walking when there’s an alert, even if you’ve got a wide-brimmed hat and gallons of water. Extreme heat can be a killer. 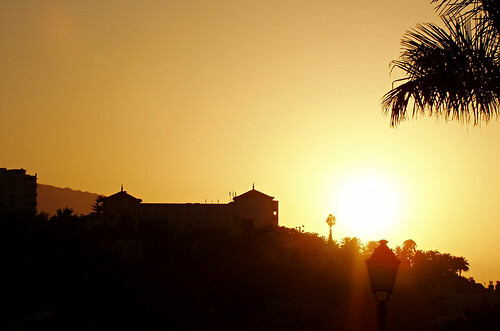 When calima descends, a thick yellowy orange mist obscures the sun. It can be extremely hot, dry and windy. The worst part is the air is filled with fine sand from the Sahara, this can cause havoc with respiratory systems. The problem with calima is sometimes you don’t tend to notice the early stages when the air is still relatively clear. A noticeable rise in temperatures and unusually dusty mouths can be an early warning sign. 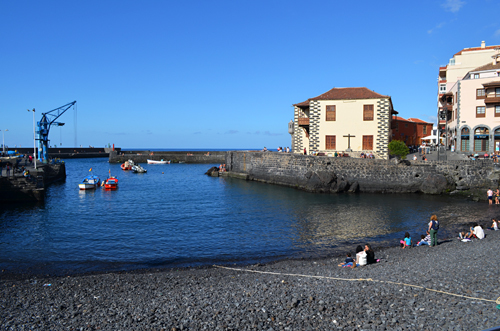 Calima affects the eastern Canary Islands and southern and eastern parts of Tenerife more than it does northern and western Tenerife or La Palma, La Gomera and El Hierro. The one weather alert which wouldn’t stop us going walking on Tenerife, but it would stop us taking to the water or straying too close to the shoreline. As I write this beaches are closed along the north coast because waves of up to 4m have been battering the coast. Yet there’s not a breath of air, the sky is blue and the sun is lovely and warm. 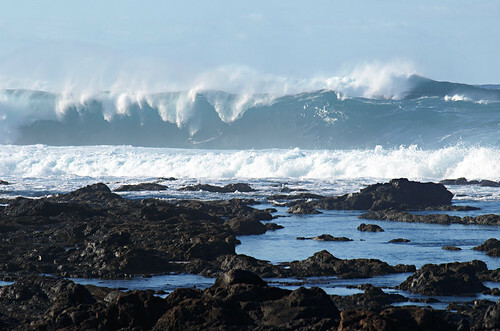 With weather alerts for the sea it can be wild on the waves and glorious on terra firma. 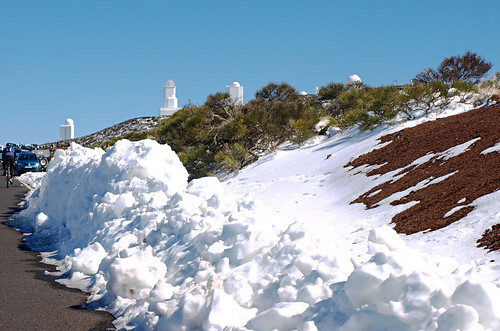 When snow falls on Teide National Park it can be a blizzard. Every year people are rescued from Teide National Park during mini snow storms. If snowfall is forecast we keep away from the park until it’s over. Even then we keep away anyway as it’s chaotic in the crater when it’s been snowing. We bang on about weather alerts not to be sensationalist about things, the weather IS near perfect most of the time. But every year people die in the Canary Islands because they’ve been given bad advice, ignored what the weather is doing or haven’t realised extreme and dangerous weather doesn’t just involve high winds and heavy rain. It doesn’t matter what time of year it is, it’s always worth checking weather conditions before taking to the hills on Tenerife, or any of the Canary Islands. 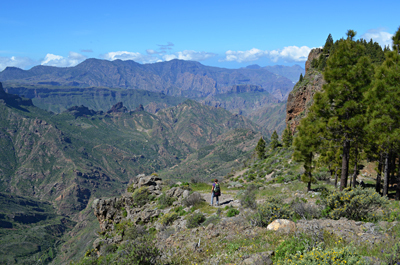 Hi, my husband and I are coming to Tenerife for the first time from 17-23 Dec and are keen to do some trekking. 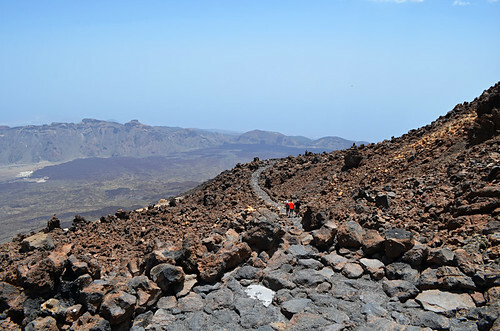 We are experienced walkers (did guided summit of Mt Toubkal in May ’16), but would like your advice on what weather we might expect, whether Mt Teide will be possible (best route, need for guide? ), what maps / guidebooks it would be useful to purchase, any tourist or National Park offices we could visit, and any other treks you can recommend. We are staying in Puerto de la Cruz but intend to hire a car. Many thanks for any information you can let us have prior to our visit.